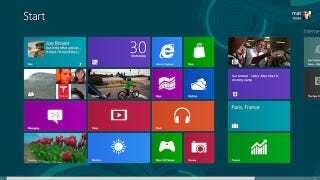 Word yesterday was that Microsoft was changing the official name of its Metro UI to "Windows 8." Except, not totally. Today, the Verge is referencing several Microsoft listings for upcoming events referring to Metro/Windows 8/Fancy New UI as Modern UI. Ugh. If you're going to confuse the hell out of everyone with an alternative name to the official Windows 8 name, can't it at least be something fun? Or good? There were so many options! Even if it didn't go with odds-on favorite Ballmer's Block Party Bonanza, couldn't the alt name have been something that doesn't call to mind filing cabinets and broccoli?